Oracle Developer Cloud Service (DevCs) includes a lot of great tools to help you build applications. The Maven repository is useful for storing build dependencies and artifacts. 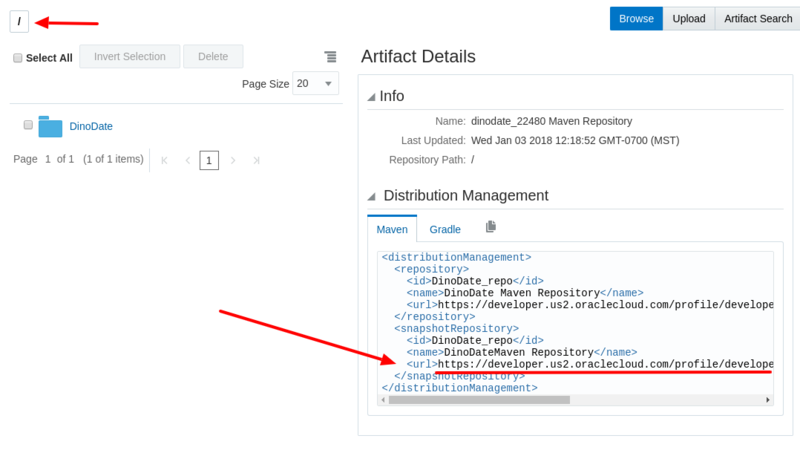 Maven artifacts can be uploaded to the repository after they are created by your build. Dependencies can be manually uploaded ahead of time and pulled into the build jobs that need them. 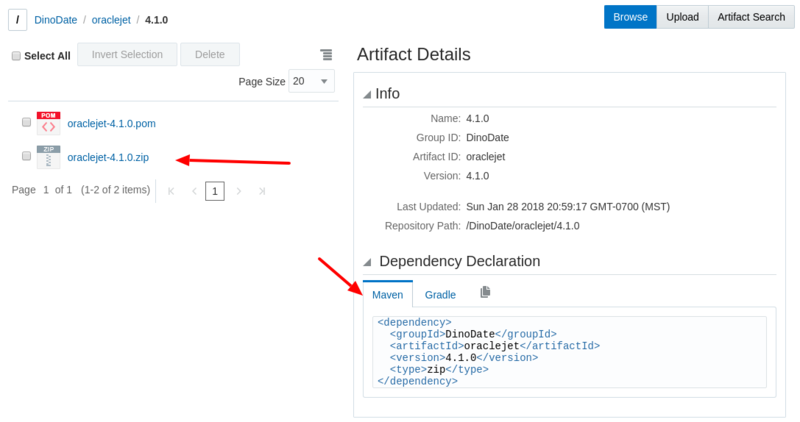 Let’s take a look at how to work with dependency files in the Maven repository. We’ll need to upload one or more files first. Drag and drop files into the box or click “select artifact files” and select the files. My project uses Oracle JET version 4.1.0 so I’ll add it to my Maven repository. Note: the file may be renamed in the repository. 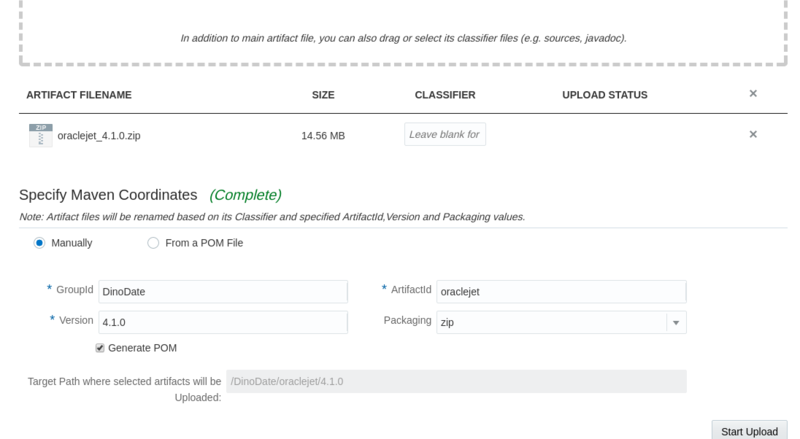 For example, the oraclejet_4.1.0.zip file will be renamed to oraclejet-4.1.0.zip using the above data. Now that we have a file in the repository let’s see use it in our build. 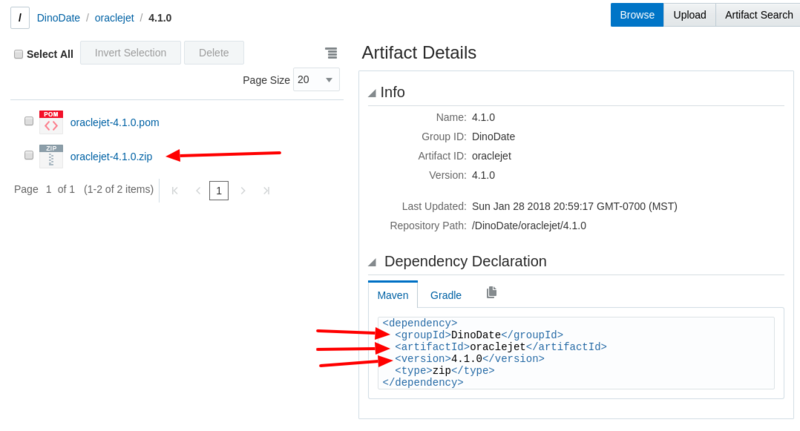 If you’re using a build tool such as Maven or Gradle, you can get the dependency declaration for the Maven repository by clicking on the root of the project then copying it from the dependency declaration tab for your tool. Drill down into the folder. Click on the file you need. Copy the dependency declaration for the file. At this point, you can run your build tool in a build job as normal. But if you’re not using a build tool there is another way. To use a tool such as cURL you need to get the URL for the file your after. First, we’ll need the DevCs Maven repository URL for the project. This is the same data (plus the file name) we entered when we uploaded the file. 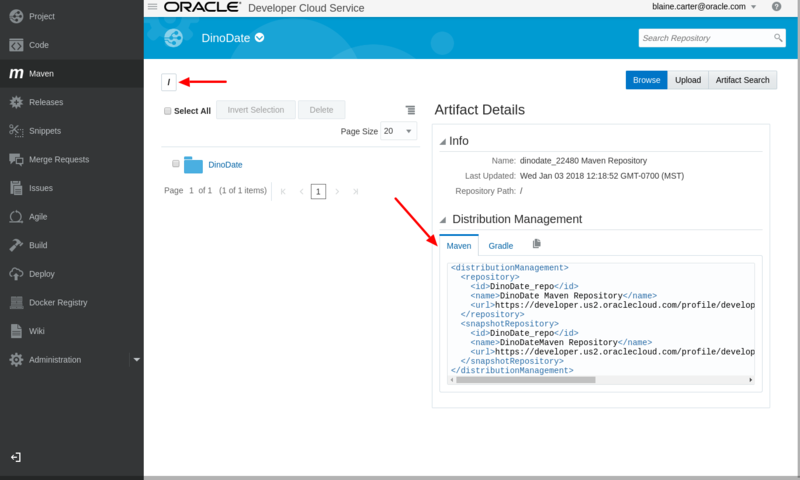 Copy the information from the dependency declaration for the file. The different components in DevCs already have the permissions to access each other in place so the build job can simply cURL from the Maven repository. Why Store Dependencies in the Project? It will be faster than pulling dependencies across the internet. You won’t have to worry about a remote repository being offline or files being removed. Helps protect you from security problems if a remote repository is compromised. Please leave a comment if you have questions or need additional help.